Krav Maga teaches self-defense, self-protection, fighting and combat skills, as well as skills to defend others, all in the form of exclusive and complete moves. Even though, it was initially designed for the defence forces, it is easy for anyone to learn the technique. In fact, what makes the martial art easy is the approach and emphasis it lays on the teaching process, techniques, and ways of training. 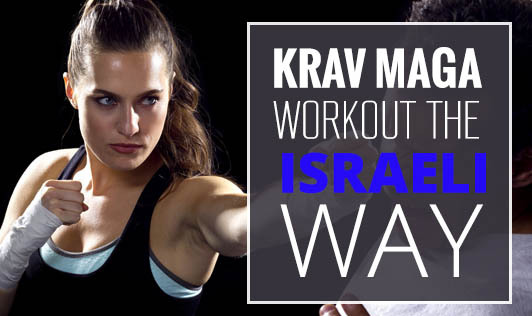 The origins of Krav Maga can be traced back to Czechoslovakia (Slovakia) during the pre-World War II period, when a young Jewish athlete named Imi Lichtenfeld introduced it. He was a nationally and internationally renowned boxer, wrestler, and gymnast. Later, it continued to advance under the guidance of Eyal Yanilov and a group of instructors that studied and collaborated with him. The mixed martial art/combative self-defense system has multiple roots in boxing, Judo, Jujitsu, and Aikido. And, in recent years, other martial arts like Muay Thai and Wing Chun too have been integrated into Krav Maga. Neutralize the Threat: The primary goal of Krav Maga is to neutralize the opponent/source of threat as quickly as possible. This goal overlooks all the other principles, the simple reason behind it being that it helps to dominate and incapacitate the attacker in a matter of minutes. Keep it Simple: Krav Maga employs no patterns or Katas, just strikes, holds, and blocks. It was designed with the premise that learning it would be incredibly simple and that it could be put to use as soon as possible. Simultaneous Defense Attack: In Krav Maga, the fighter looks to combine an offensive movement with a defensive movement, which means that he would disrupt the attack and simultaneously counter attack. Retzev or Continuous Motion: The martial art is best defined as a “seamless explosion of violence” in which the goal is to neutralize the attacker with continuous movement. So, a well-trained practitioner of Krav Maga will know how to react to any type of threat without hesitation. Use of Weapons of Opportunity: Krav Maga is lenient with weapon usage. It allows the use of firearms and knives, or any object (such as keys, belts, pens, and chairs) to be incorporated into a move. Weapon Defense: Krav Maga teaches techniques that prepare the individual for any kind of attack, armed attacks included. Focus on Soft Tissues and Vulnerable Points: The primary goal of Krav Maga is to neutralize the opponent in the quickest way possible. Since courtesy, rules, and etiquette are out the window, obviously the first mode of defense to come into play would be to attack the opponent’s vulnerable areas and pressure points. Subduing Techniques: Krav Maga also uses techniques that help de-escalate any violent attack. The techniques focus on overwhelming and subduing the opponent before they have a chance to respond or react.